Kiwanis Camp Casey is a free, week long summer camp for children ages 6-17 who have physical disabilities. 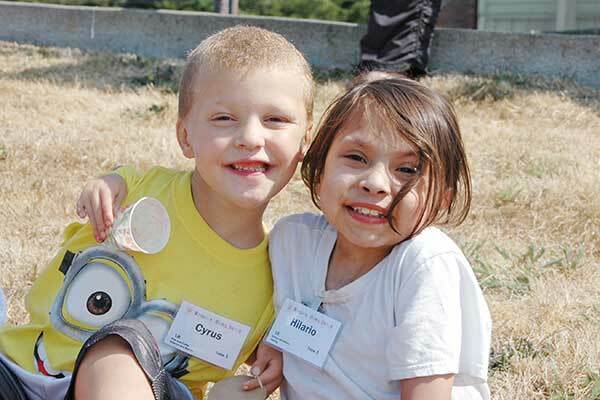 It is provided by the North Central of Seattle Kiwanis and all staffing, nurses and counselors volunteer to help create “the best week of the year” for our campers. Camp is located at the Camp Casey Conference Center on Whidbey Island with transportation is provided to / from Seattle. Camp Casey 2019 will take place from Sunday, July 28 – Saturday, August 3. We are looking for volunteer counselors (ages 16 to 25) who want to make a difference in the lives of 90 kids and have a lot of fun at the same time. Counselors must be able to commit to the entire week of camp. Please read the information below about what it’s like being a Casey counselor and if you think this sounds like the right fit for you, be sure to complete the online counselor application prior to May 20. If you are over 18 and not able to volunteer the entire week, please consider joining us instead as an adult volunteer. Counselor applications for 2019 are up! Please apply here. Counselors spend the majority of their day at camp interacting with, caring for, and really getting to know our campers. Additionally, counselors are responsible for creating the dynamic environment that camp is known for. Camp Casey is extremely rewarding, but counselors should be prepared to work hard. The role of a counselor involves little sleep and some heavy lifting (must be able to lift at least 50 lbs). 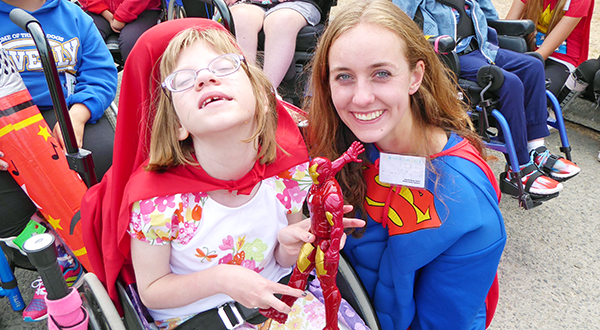 Although some prior experience with disabilities may be a plus, it is not required to be a counselor. maintaining an extremely fun and energetic environment by keeping a positive attitude, joining in all chants and cheers, and bringing a high level of enthusiasm. 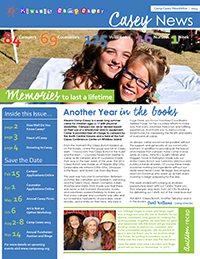 To learn more about the campers and activities at camp check out the “About Camp” section of the website or take a look at an example Camp Schedule. Prospective and returning counselor applicants are highly encouraged to attend our annual picnic in May. The picnic provides a casual environment for you to interact with campers, talk with camp leadership, and meet other counselors. This is a great opportunity to get a glimpse of what camp is like and see if volunteering as a counselor is the right fit for you. Counselors are required to attend three training meetings in the weeks leading up to camp that will prepare you for everything you need to know. If you are not able to make all of the meetings but would still like to be a counselor, please contact us and we may be able to arrange alternative training options The 2019 counselor meetings will take place from 6:30-8:00pm on the following Mondays: July 8, July 15, and July 22. All meetings will be held in the Calvin Room at University Presbyterian Church, 4540 15th Ave NE Seattle, 98105. Questions About Being a Counselor?